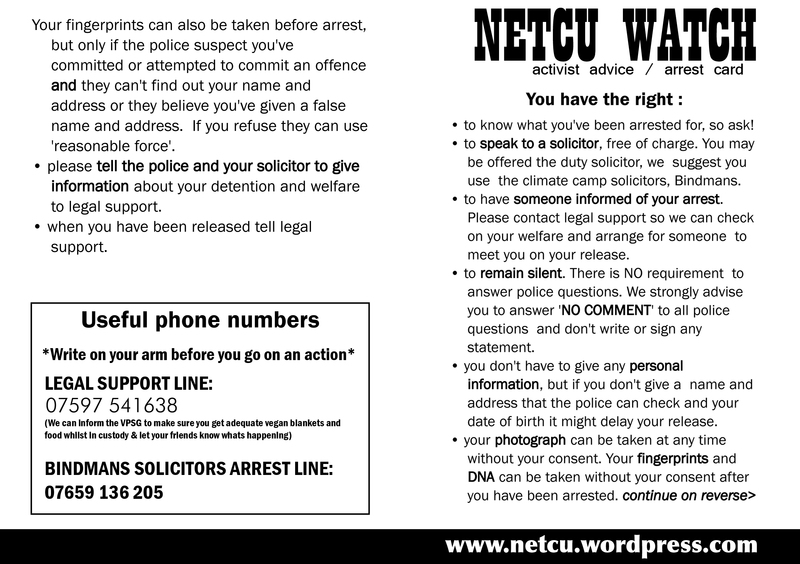 Netcu Watch have set up a legal support network for those who get nicked (and their friends/family). Our legal support number is 07597 541638 we would recommend that you tell police that you wish that number to be informed of your detention and Bindmans & Partners Solicitors have agreed to give legal advice to activists arrested their number is 07659 136205 - We strongly recommend not using the duty solicitor. WRITE BOTH OF THESE NUMBERS ON YOUR ARM BEFORE GOING ON AN ACTION! - We recommend a no comment interview when taken to interview if arrested. 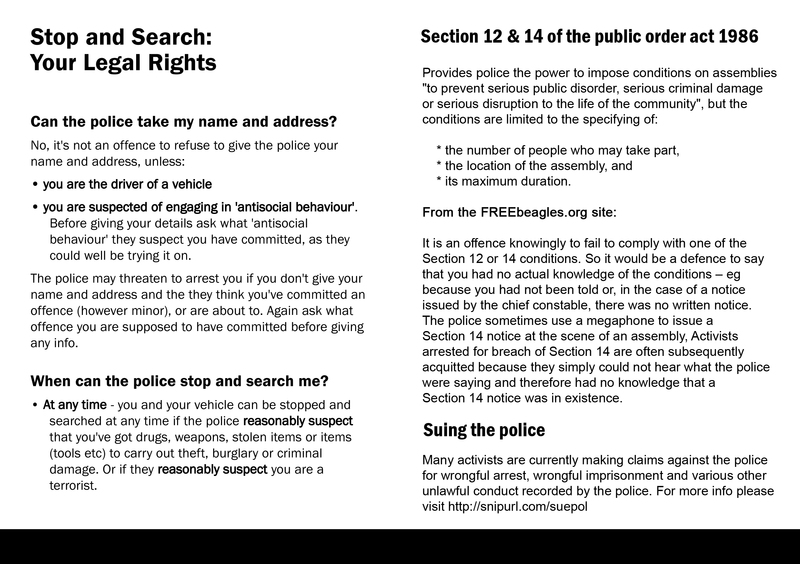 - Do not accept any pieces of paper from the police at ANY time during the protest, footage of you accepting section 12 & 14 public order notices can be used against you in court. - And if the cops start talking over a megaphone to issue a s12 or 14 just clap your ears shouting la la la... hehe. - Do not publish video footage or photos you have taken which might incriminate others after the demonstration and please send us any good photos and video you have taken of the demo and cops to warn at riseup dot net. Check out and print the bust card.